Grow your audience, generate qualified leads, and drive revenue growth through podcast guest appearances. We get entrepreneurs, CEO’s, and executives booked as guests on podcasts that reach their ideal customers so they can grow their audience, generate qualified leads, and drive revenue growth. We create original podcasts for brands looking to build authority in their space, connect directly with prospects, generate qualified leads, and drive revenue growth. We partner with internal communications teams to create private podcasts they can use to align the team to the company mission, and facilitate new employee onboarding. 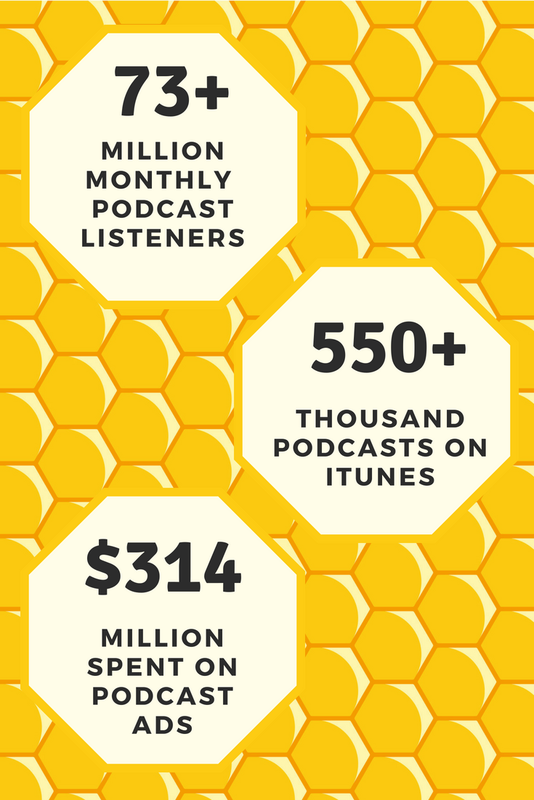 Podcast listeners are the most engaged of any audience online, and Podcast Touring is when you proactively seek out and get featured on all of the podcasts that have listeners you are trying to attract into your audience (aka "hive") as buyers. The goal of a Podcast Tour = Your prospects see your name and hear your voice buzzin’ across all of the podcasts they listen to over a relatively short period of time. 50+ podcasters praise our pitch as the best they've ever seen.